Unless you have been living under a rock for the last few years then you might be aware that the release of a new Chanel makeup collection, and in particular the limited edition nail polishes, inspires a frenzy amongst a large number of beauty addicts. Recent releases include Black Pearl, Paradoxal, Nouvelle Vague and Particuliere. I am always intrigued as to what colours Chanel will release each season, and I'll admit that some have created more of an impression on me than others. Whilst Nouvelle Vague left me cold, I love Particuliere which I purchased as a birthday treat to myself. Until the day I can get my hands on a Chanel 2.55 bag, nail polish and fragrance are the only Chanel items my budget will allow for. 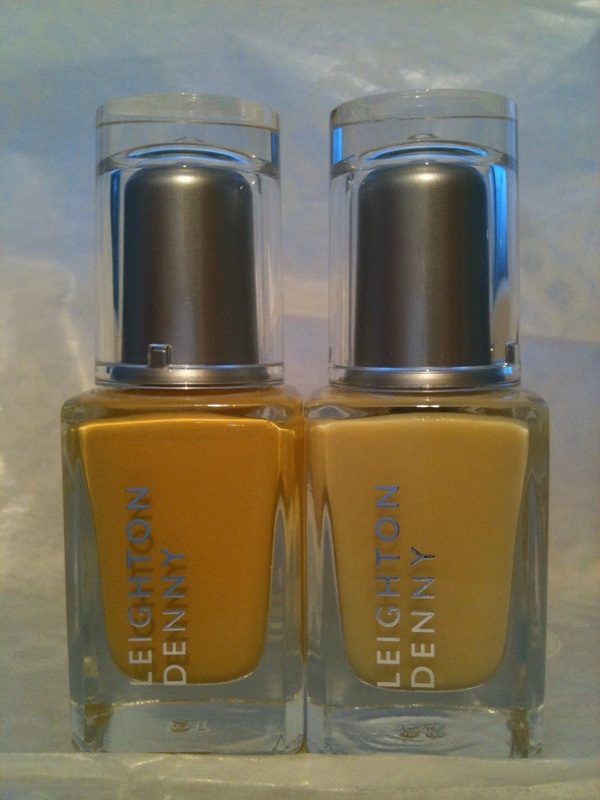 This season's release was Mimosa - a buttercup yellow polish which looks like sunshine poured into a bottle. Although I loved this when I saw it on a number of blogs e.g. A Girl, A Style (one of my favourite blogs), I knew I wouldn't spend £16 on it even if it did have the iconic logo on it. But I still wanted to try the look as it's very different to what I usually wear. Luckily, on a trip to TKMaxx I spotted a Mimosa dupe (of sorts). As I noted in a post recently, there are some good beauty bargains to be had in TK Maxx at the moment. The subject of this post is the Leighton Denny Double Up Duo which was retailing for £9.99 instead of £22. 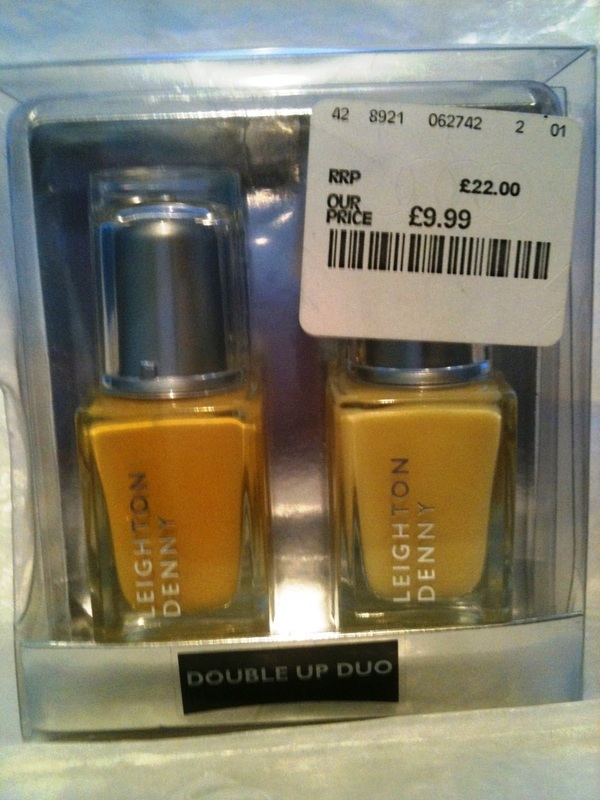 I'd never tried any Leighton Denny polishes, so wanted to try this out. 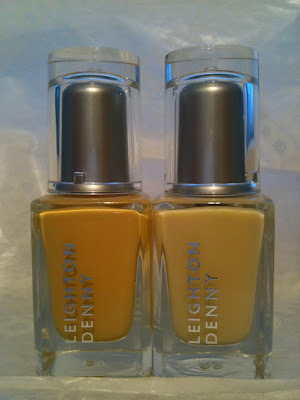 The set contains a solid yellow shade called 'Brick Road' and a very subtle pale lemon shade called 'Bon Bon'. I first tried the 'Brick Road' on its own. I wasn't very impressed with the application of this polish, as it didn't give very good coverage. I needed 3 coats to ensure full coverage and to avoid streaks. I also found the yellow to be quite flat and it wasn't quite Mimosa-like enough for me. Not wanting to waste the set I tried the 'Bon Bon'. As soon as I put this on, I knew it wasn't for me. It's very pretty, and has a slight shimmer to it, but it's definitely too pale for me. On the plus side, this did seem to apply better than 'Brick Road'. At this point, my beauty bargain didn't seem quite such a good buy. But then my friend Sarah invited me to her birthday 'Yellow Picnic of Dreams'. As the name suggests, everyone had to take along yellow food and to wear something yellow. In the absence of anything yellow in my wardrobe, I had to make do with yellow nails. As I hadn't been overly pleased with either shade, I decided to combine the two: 2 coats of 'Brick Road' topped with 2 coats of 'Bon Bon'. This was about to be consigned to my box of 'beauty purchases I regret' but thanks to combining the two shades, it's been saved! Although it's not like any other shades I've got in my collection (of which there are quite a few!) I really like it! It might not be the real thing, but it's Mimosa-like enough for me! When it catches my eye it makes me feel Summery, even if outside it is grey and gloomy. Whilst this isn’t going to be a lifelong love affair I definitely think it’s worth a Summer fling! Thanks so much Lou for sharing your Chanel Mimosa dupe. 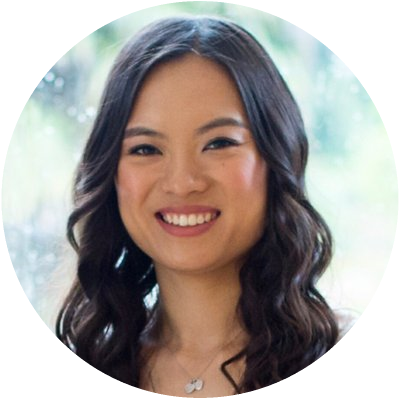 Click here if you'd like to read more of her blogposts. i would love to try yellow nailpolish. 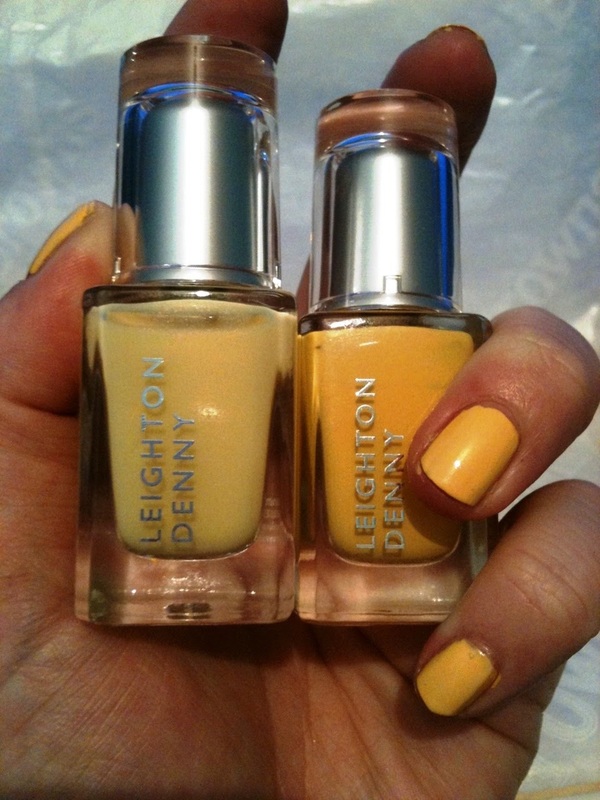 I got a manicure with leighton denny once and thought the products seemed great, but thanks for the warning on these ones!